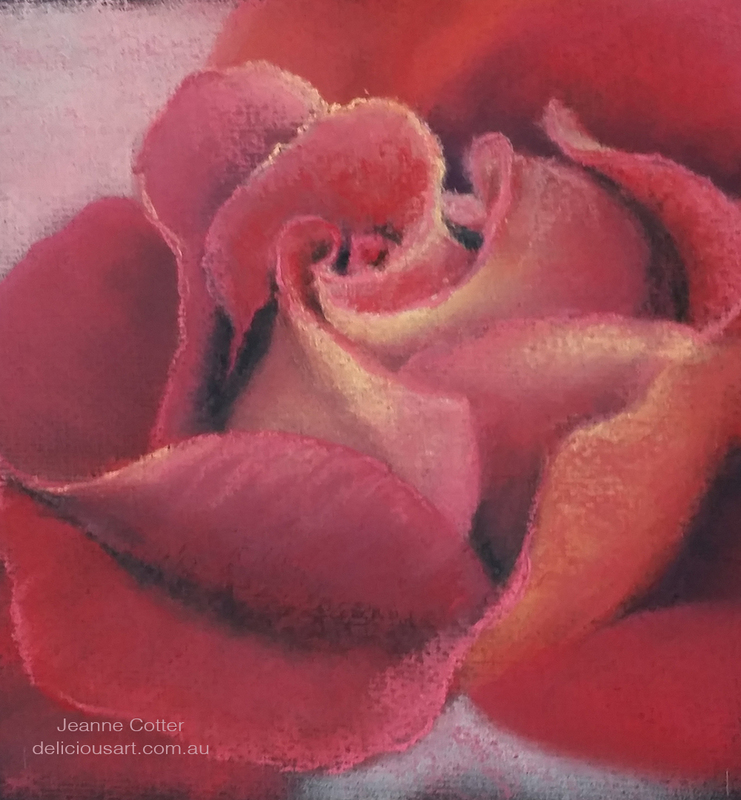 Roses are my favourite flower and when I first started painting with pastels the subject I dearly wanted to master was roses. 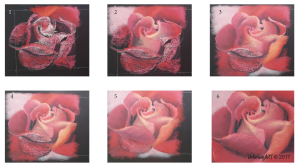 Over the years I’ve painted many roses, I love the frailty of roses and the way the petals wrap around each other encasing the centre bud, they really are an amazing structure and formation of delicate texture. Pastels are beautiful for painting roses because you can capture the tiny ruffled edges of the petals and communicate the roundness of them and the transparency of light through the petals. Here I’ve added a step by step process of painting one of my roses, this visual clue helps my students to see the structure and process of painting a rose, one petal at a time.